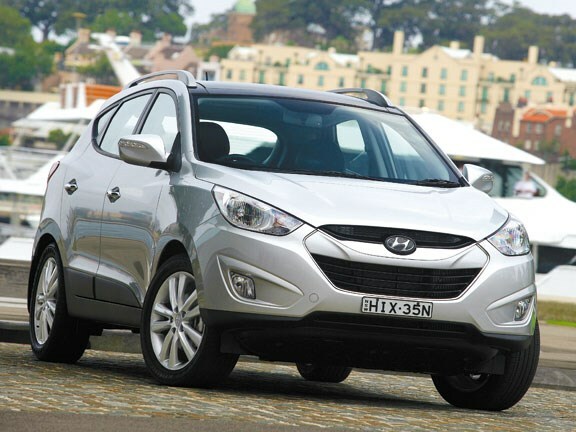 It may take its styling cues from a sports car, but Hyundai's ix35 is at home offroad. 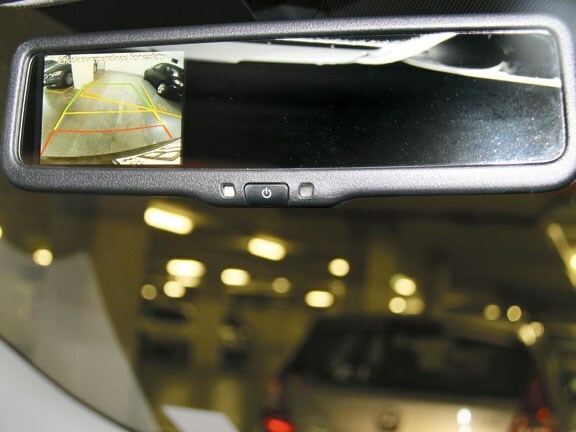 And with high-tech gadgets and luxury equipment like a reversing camera in the rear vision mirror, it is great for towing a caravan. Hyundai's previous mid-size crossover, the Tucson, had an adventurous name and smart but functional styling. Its replacement, the ix35, has adopted a sophisticated moniker and wears outrageously curvaceous styling that owes more to sports cars than rugged offroaders. The top Elite model tested here even comes loaded with high-tech gadgets and luxury equipment like full iPod connectivity, keyless entry/start, a reversing camera hidden in the rear vision mirror and full leather upholstery. All things considered, you might assume that the ix35 is much less suited to towing than its predecessor. We reckon you'd be wrong. Sure, the ix35 has upped its game on style, quality and equipment. In a big way. But that's not been to the detriment of its ability to tow a caravan or boat, at least compared with the trusty Tucson. The ix35 is still only a mid-sizer. But a tow rating of 1600kg braked is respectable for a vehicle of this compact size, and the key attraction of the ix35 for the keen haulers out there will be the muscular new turbo-diesel engine option. Essentially a slightly smaller version of the R-series engine fitted to the next-size-up Santa Fe, the ix35's 2.0-litre boasts 392Nm of torque from just 1800rpm (and holds it at that level right through until 2500rpm). That's a lot of low-down grunt for a power plant of this size and makes towing a fuss-free experience – especially when you factor in the slick six-speed automatic gearbox. Most ix35 models are also all-wheel drive – on-demand for normal driving, which means that the software detects wheel spin up front and automatically feeds torque to the back when required. You can also lock the system into a 50/50 torque split should the going get truly slippery. The Elite also gets a hill-hold feature and hill descent control, which uses the anti-lock braking system to automatically limit speed on steep downhill stretches (mostly for light-duty offroad work). Of course, the ix35 is not primarily a workhorse. It's a family wagon that's deliberately tailored towards good on-road manners, ride comfort and overall practicality. And these are the areas in which the little Hyundai excels. The strong diesel engine makes for relaxed open-road motoring and the car-like monocoque chassis ensures capable handling, even if it's no sports car; the nose pushes wide in tight corners and the steering is short on feel. There's no doubt that the ix35 takes Hyundai upmarket in terms of cabin build quality. It's pretty blingy in places, with lots of silver trim, and there's a lot of unyielding plastic around the dashboard, but it's hard not to be impressed by the car's interior style and ergonomics. The driving position and passenger seating are pleasingly high, although the high waistline compromises rear-seat visibility. That's the price of high style. Hyundai has certainly come a long way from the "cheap and cheerful" status it enjoyed a decade ago. 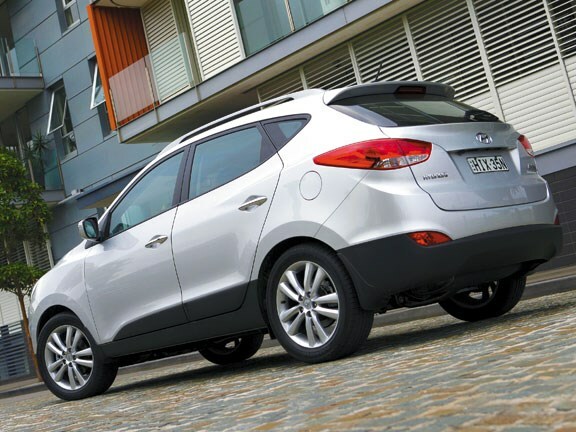 The ix35 could even be considered something of an "it car" for 2010 – Hyundai is now a very strong brand and there's an aura of glamour surrounding its newest model that makes it a genuine rival for the likes of the Toyota RAV4, and even European crossovers like the Volkswagen Tiguan. But what's that – still not enough towing muscle for you? No drama. The flagship ix35 CRDi Elite tested here is a highly impressive vehicle but costs a heady $53,990. For $1000 less you could step into the entry level (but substantially larger) petrol-powered Santa Fe and attach 2000kg to your towbar. Nice to have the choice. 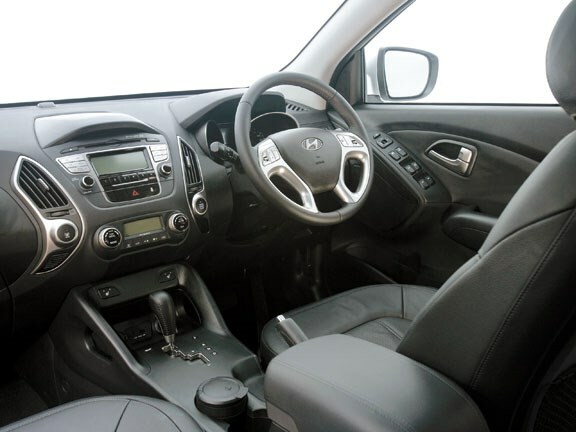 See the Hyundai ix35 for sale on Autotrader.